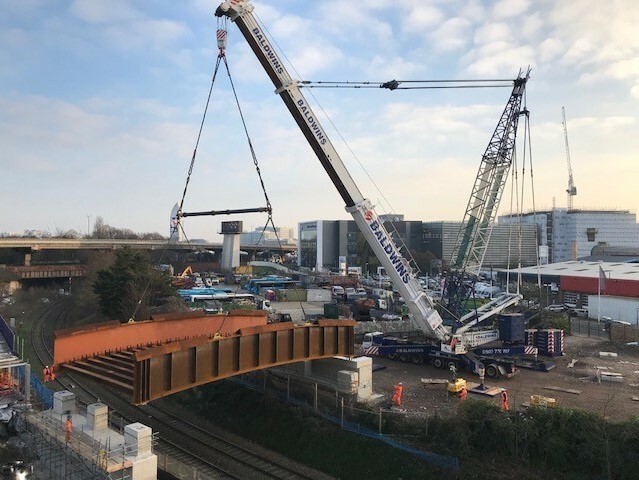 A key piece of infrastructure at the Brentford Community Stadium site has now been put in place. 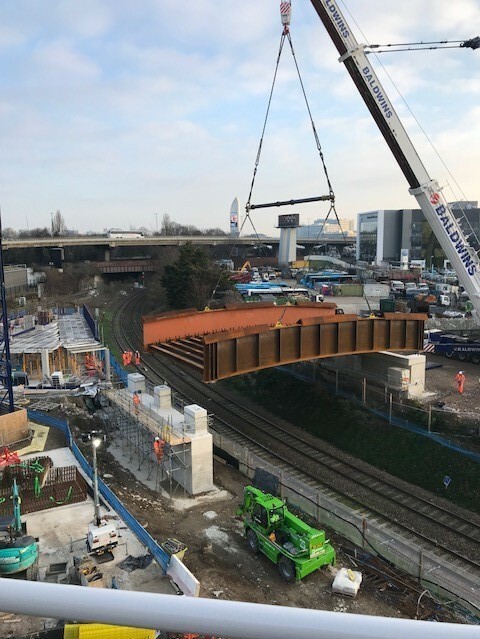 This weekend, January 19 and 20, the eastern bridge that connects the Capital Court site with the main Lionel Road South site on the development was successfully lifted into place. 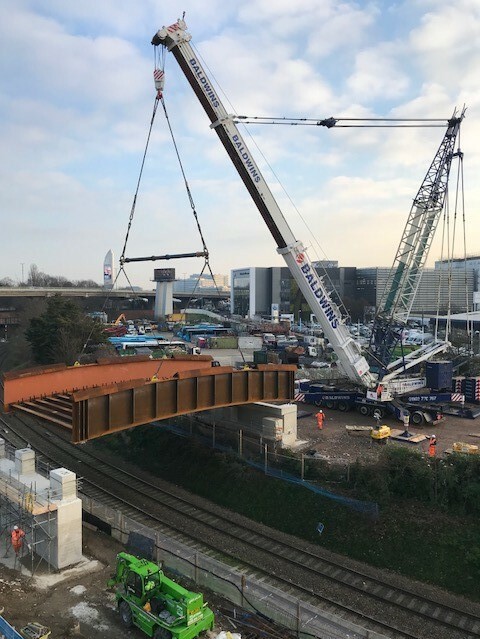 It will allow supporters to cross the freight railway line – known as the Brentford branch line, that runs along the eastern edge of the stadium site – from Capital Interchange Way when the stadium opens in 2020. 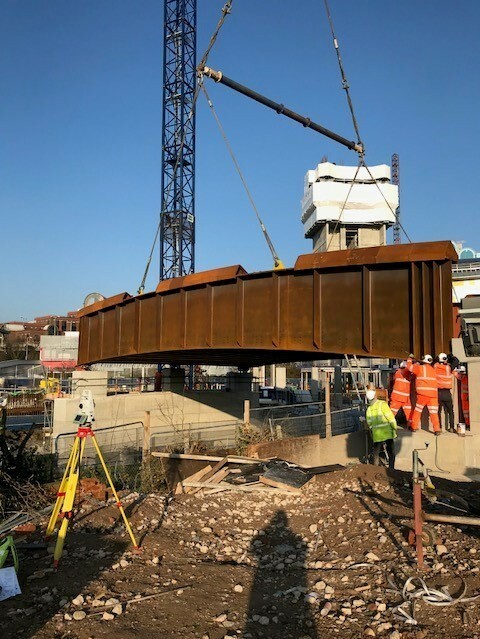 The eastern bridge is a critical element for the site, allowing another access route during construction but, more importantly, a long term access point for the stadium and the residential homes to be built on the Central Eastern site. 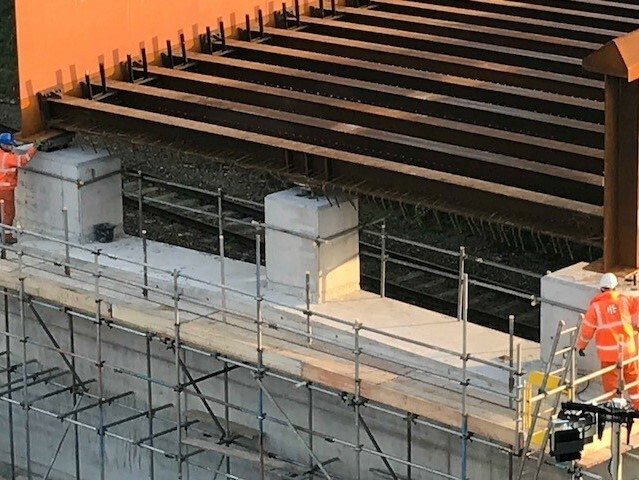 Having another route out of the area is fundamental to the operation of the stadium so that crowds on matchdays can be safely managed.